When I used to work at Unpainted Furniture in Rapid City SD, the owner Lori would always give me new ideas of artwork to put on furniture to make it unique. 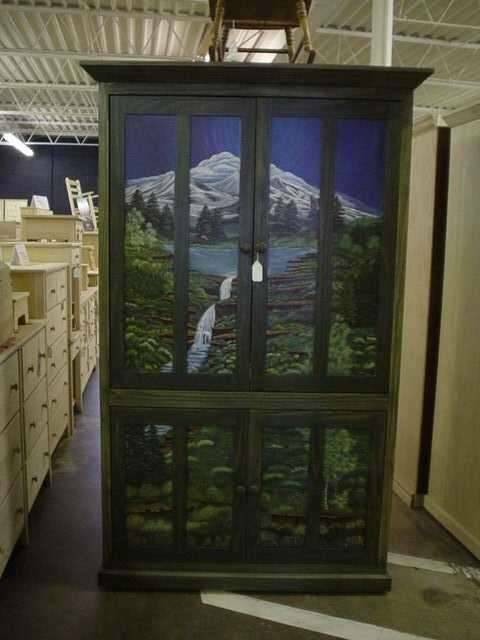 This is a TV Armoire that we decided to put a window view of mountains and a creek. The base is stained with a semi-transparent green stain and clear coated with laquer.